Seasoned photographer Rick Guest is as refreshingly nice as he is talented. 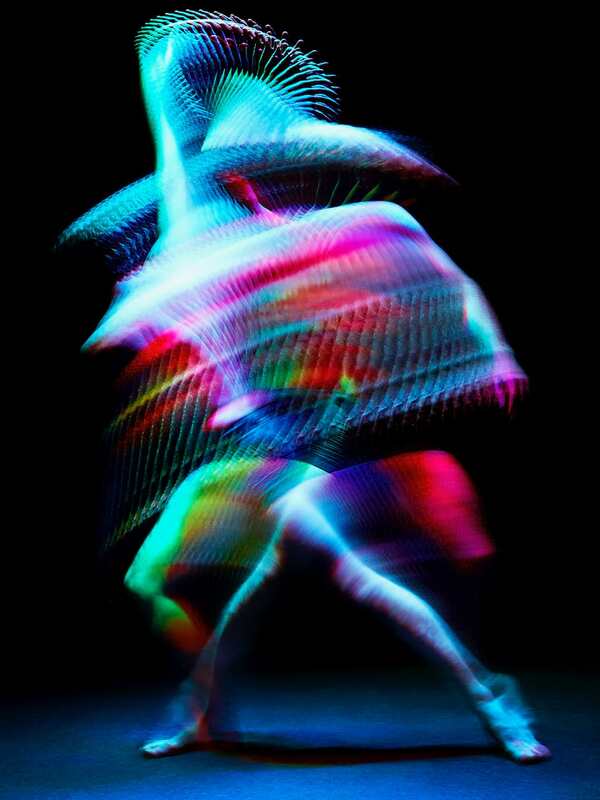 Whether shooting A-List actors and sports stars, car brand commercials or indulging in his passion for ballet, Ricks work is always awe inspiring. 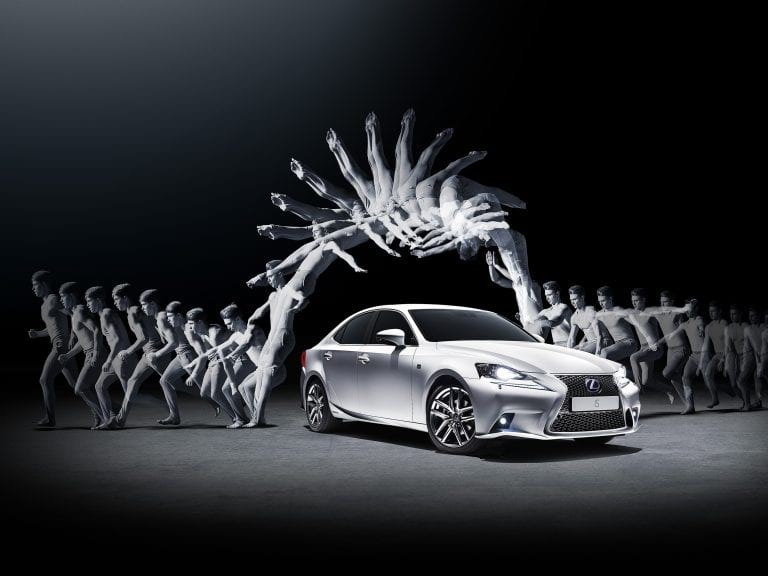 His work with the Royal Ballet made him a perfect choice for the Lexus ‘Gymnast’ project. So much in life is just plain luck and circumstance. At school I was allowed to drop art, and essentially anything artistic by 11. So I studied sciences all the way through to university, and after a year and a half of a computer science degree I dropped out, as it just didn’t seem to be remotely fulfilling to me. I came down with a really bad illness in my late teens and when recovering came across a camera in the house and picked it up out of sheer boredom; it was a revelation. To be able to frame life, to literally take a viewpoint, perhaps to exert some sort of control over the world at a time when I felt none, was some sort of ‘Damascus’ moment for me. Then with the combination of beginner’s luck and the joy at having created something – obviously this was back in the world of actual prints that you could hold in your hand – it just made sense as the way forward. What draws you to a project? It entirely depends on the project, but it’s usually a combination of the craft and art involved, two factors most photographers consider when taking on a job. In commercial photography, the client buys into you as a photographer, and the process of creating is highly collaborative with both agency and client, and requires bringing all your craft to the fore, even if the situation isn’t necessarily your personal aesthetic, but best serves the client. The other side is where the photographer is the ‘artist’, where you create work in complete creative freedom, and sell it after. The trick is bringing that artistic passion into the realm of craft. I’m a worker by nature, and I love to turn up and work every day, so am a firm believer that there’s an artistic solution to every commercial set of constraints. Sometimes the problem is solved diplomatically, rather than photographically, as clients need to be led through a project to become as emotionally connected as the creatives are. There’s a lot of light play and illumination across your work and in your exposure of subjects. Why is that? Probably because of a techie background and vast amounts of time sitting in front of the TV as a kid. I like lighting, I like creating worlds that are better and brighter than real life. I was commissioned to take a portrait of a Principal of The Royal Ballet, a dancer called Edward Watson about seven or eight years ago. It was a simple portrait and afterwards he asked me if I’d like to see him dance; he was simply breath taking and I fell in love with both dance and dancers right there. Two books, three sell out shows, as well as work being acquired and shown at the National Portrait Gallery, and I’m still constantly blown away by their prowess and spirit every time we shoot. To come full circle, I’m in the middle of a book for Edward right now, he’s still incredible. You’ve worked with some A-Listers, have you ever been ‘star struck’? Not really star-struck ever, but to see any performer or athlete who is one of the best at what they do on the planet, do their thing right in front of you, is incredibly impressive and rewarding, it beats a real job. A favourite moment will always be shooting Jeff Bridges for Esquire; he was, in every way, the Dude. Not for a minute, it’s just another tool to realise your vision. As soon as a photographer chooses a lens, or where to stand, or how things are lit, reality’s out of the window and only the photographer’s truth will be left. The only way it devalues anything, is that a digital workflow allows for far less decision making on the day. What we used to think of as trust back in the days of film, was just process enforced exclusion of anyone else, so your career lived or died on your success at putting your head on the block every day; it was a harsh way to learn, but incredibly useful. How do you approach, and meet the demand for stills and moving image on the same project? In exactly the same way, the only problem is one of time, as clients most often want to double the workload by doing both without doubling the time, but the vision and process is identical for me. Anything by Lee Friedlander or Garry Winogrand; to have walked the streets with them in the States at that time, Leica in hand, would have been incredible. Tell us about a funny moment on set? Too many to mention, but not always related to the job. I have an incredible first assistant and a terrific crew and we laugh an awful lot. Everyone knows their job inside out, and the confidence of that on set allows a great deal of mutual harassment and abuse.